Westbay is proud of the services we provide to residents of Kent County. 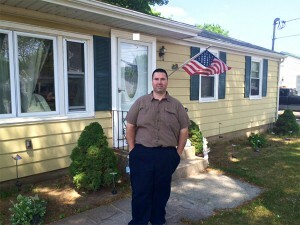 Below is a testimonial from a Coventry homeowner who had Weatherization work done on his property. We recently had our home weatherized as part of West Bay Community Action’s weatherization program as well as receiving much needed heating assistance this past winter. In addition the weatherization team made the decision to install an external water heater to assist our oil-fired furnace in the production of hot water for our home. Prior to the install, our furnace only produced four gallons of hot water per use and the furnace would constantly tum when any amount of hot water was utilized. The furnace would kick on if someone washed their hands in the bathroom or rinsed a dish in the kitchen sink. The system was completely inadequate for a family with two small children. 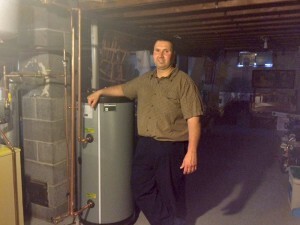 Our new hot water tank is a true blessing from God. We knew that at some point we would need to install one in order to save on oil. Unfortunately, recent incidents in our life have extremely limited our income and the idea of a hot water tank was placed on our, “someday”, wish list. We are still in amazement that we are able to have such a vital piece of equipment now instead of much later or never at all. It is truly wonderful. The heating contractor came out on Friday with his assistant. He was very professional and took care to explain the work that he would be carrying out. My wife and fifteen month old son were not feeling well and slept in that morning. Carl and his assistant we so careful and talented that my wife and son never woke during the entire installation which only took a few hours. Their experience truly showed in their work and work ethic. Our family is truly grateful for this program which has helped to restore our hope during one of the most trying and difficult times in our lives. I never realized how poorly insulated and inefficient our home was in regards to energy usage and conservation until we found this program. I sincerely thank all of individuals who work at state and local levels that make this program possible as well as all those who work hard to secure the funding to keep this very important and desperately needed program going. I earnestly urge any lawmaker or official that is responsible for the creation and funding of this program and others like it to consider its great benefit to my family and others and to be inspired by our stories to continue lobbying for these important programs. They have and will continue to have an immeasurable impact on the outlook of families in our state who are facing hard economic times.